One valuable result of geological survey is the geosite. 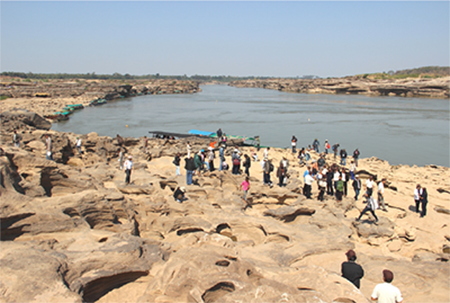 The DMR has produced much media introducing geosites and geoheritages all over Thailand, aiming to promote both education and geological tourism. 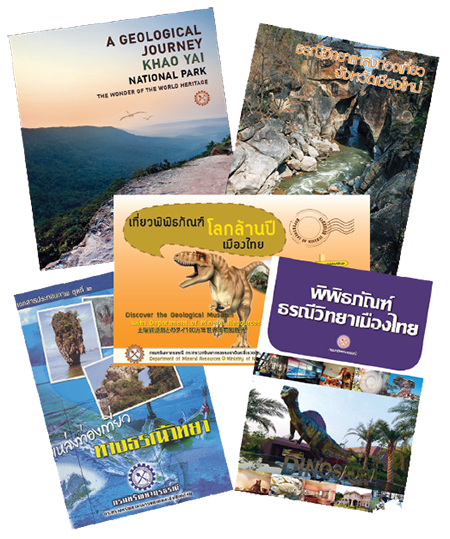 Geotourism guide books and DVDs of some provinces have been published and distributed through the website www.dmr.go.th. Geological museums and dinosaur museums are the best sources of geoinformation and also the best geotourism sites for most tourists. Because most of the geosites in Thailand are located in national parks, therefore, the department provided geological information of the national parks to the forest rangers for further dissemination. 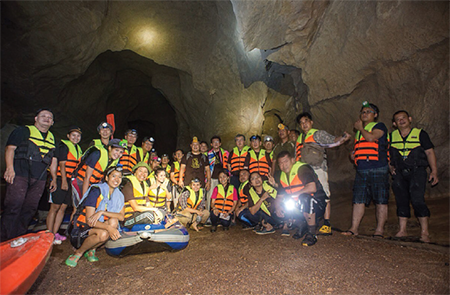 Geoparks has been introduced to Thai people, within the past few years, by DMR’s activities and through the press. Every province has been enthused to search out its most outstanding geosites to be promoted as geoparks. It is the responsibility of DMR to technically sopport every province in developing its geopark.